Earlier this week I had the pleasure of acquaintance with America's 1st elected Congresswoman -- or rather, with many good women who do good works in her good name. Her name was Jeannette Rankin. In 1916, when she was 36 years told and national women's enfranchisement was still 4 years away, voters in her native state of Montana chose Rankin, the field secretary of the National American Woman Suffrage Association, to represent them in Congress. She served from 1917 to 1919 and again from 1941 to 1943. In both of those periods the United States entered a global war, and in both, Congresswoman Rankin cast a rare vote of "No." Her activism persisted throughout her life: she served as field secretary for the Women's International League for Peace and Freedom (an organization whose other representatives included IntLawGrrls foremothers Jane Addams and Emily Greene Balch), and at age 87 she and 5,000 others in the Jeannette Rankin Brigade marched against Vietnam War. By that time Rankin lived not in Montana, but in northeast Georgia, on a farm not far my own new home in Athens. There, as described in a biographical booklet by Dorothy Sams Newland, Rankin cofounded the Georgia Peace Society, fought naval spending bills that brought funds to her region, won a libel suit against a Macon paper that called her a Communist, traveled widely, and started girls' and boys' clubs. As I learned at the group's annual dinner this week, the Foundation focuses on a segment of society often overlooked: it gives scholarships to low-income women over 35 years of age who are pursuing college or vocational degrees. In 1978, the fledgling Foundation awarded $500 to Barbara Dixon, a local widow who was studying nursing and caring for her young children. Since that small beginning, it's given well over $1 million in grants, to more than 600 women from all over the United States. 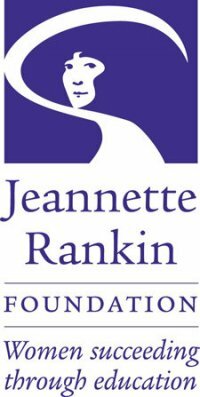 Some Jeannette Rankin Scholars were at the dinner: Dixon herself; another local woman, Latrena Stokes, who gave the benediction; and Patricia Garcia of Utah, a recent geology graduate who talked of her field work bringing fresh water to communities in Mexico and Nepal. The Scholars' stories -- no less than that of Rankin and the women who devote time and energy to the Foundation -- inspired. Learn more about this most worthy nonprofit here. The sweetest place on Earth?